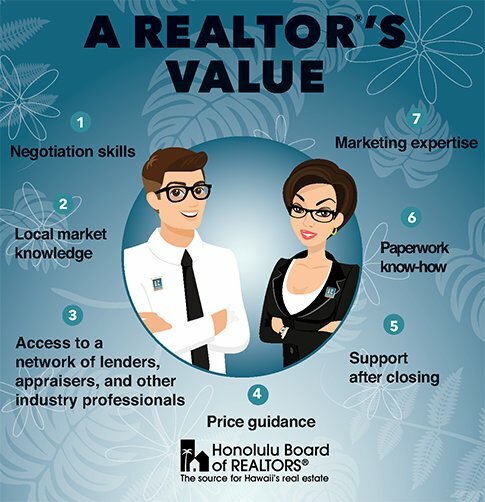 The Value of a REALTOR®? Purchasing a home is probably the biggest financial decision you’ll ever make—Realtors® are practiced in the art of negotiation, and can help you get into your next home on time and on budget. Location, location, location. We’ve all heard it before—because every market is different, you need a Realtor® who knows the local market inside and out. Realtors® have worked with dozens of local professionals, from financing to landscaping, and everything in between—skip the online searches and tap into your Realtor®’s rolodex. Listing a house is more than just placing a yard sign—a Realtor® can get your property seen by thousands of potential buyers using a variety of online and in-person marketing techniques. Realtors® will be there for you even after the sale—whether you need advice on a plumber or you’re not sure what color to paint your new living room. Who has time to sort through 14 pages of a purchase contract, with its many confusing terms, to make sure you’re getting the best deal? Your Realtor®, that’s who! Pricing is critical—an overpriced home may languish on the market for months, disappointing sellers. On the other hand, no buyer wants to fork over more than a property’s worth. Whether you’re the seller or the buyer, a Realtor® can advise you on a property’s best price.